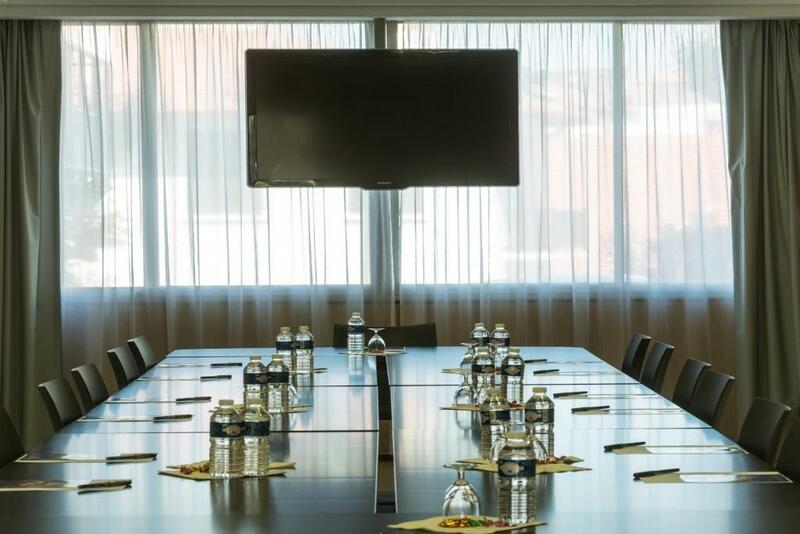 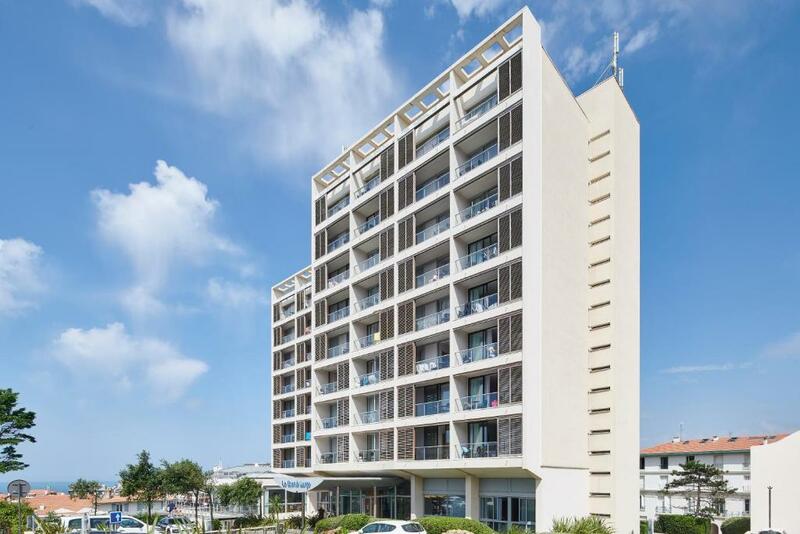 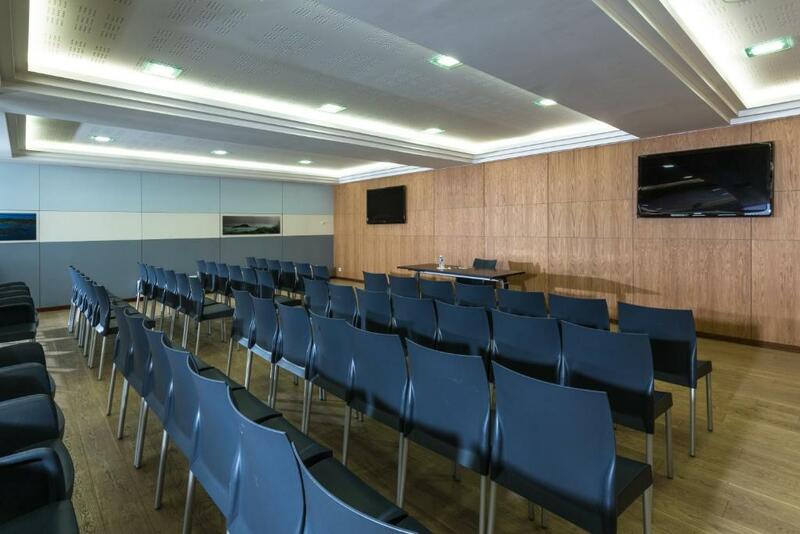 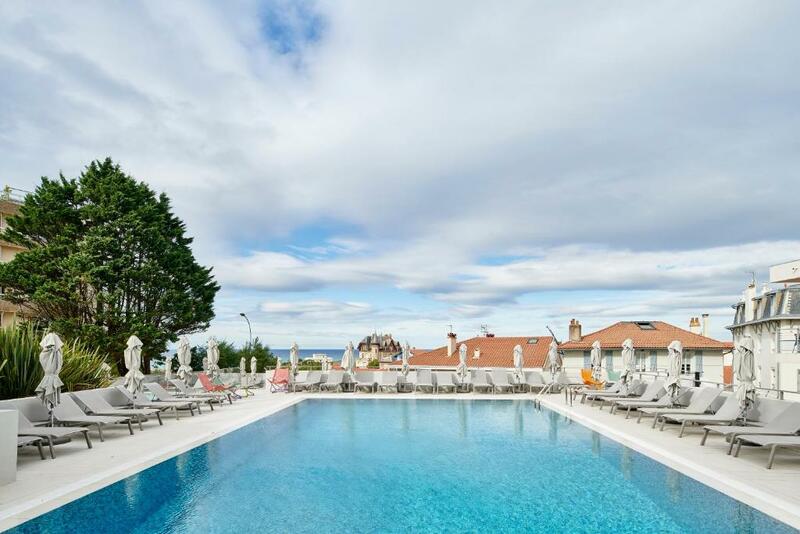 Offering panoramic views of Biarritz Cote des Basques Beach and a heated outdoor swimming pool, Le Grand Large is an aparthotel situated in the heart of Biarritz, just 200 metres from the Old Harbour with various stores, local markets and tapas bars nearby. 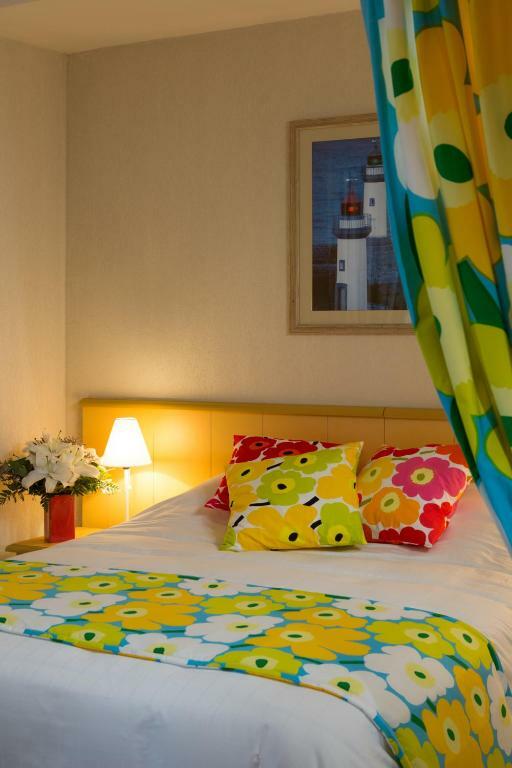 The spacious studio apartments at the Le Grand Large feature a loggia with blades viewing the Ocean or the Lighthouse. 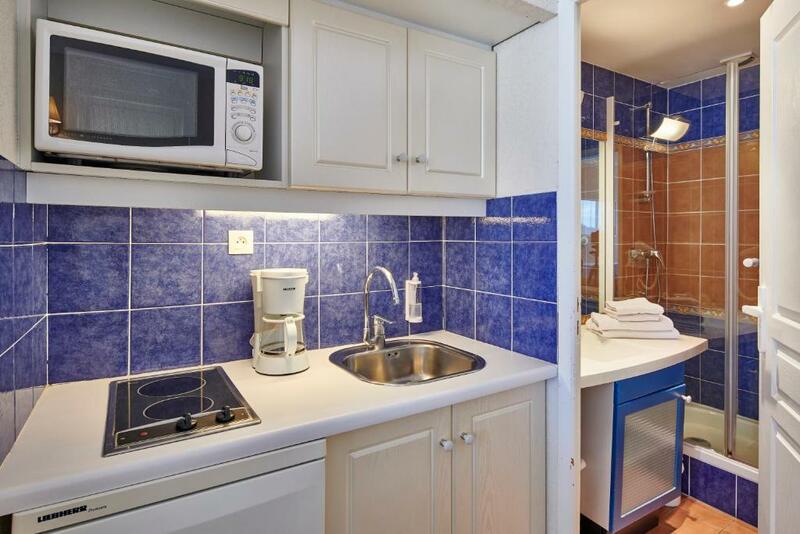 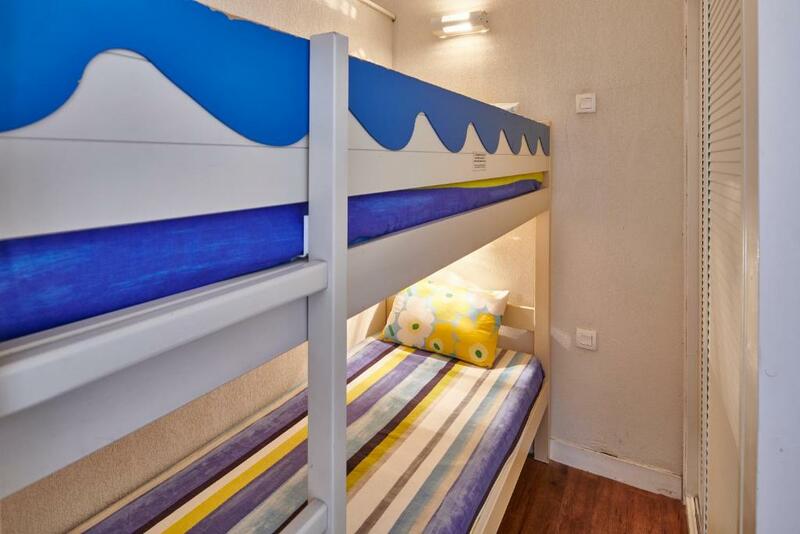 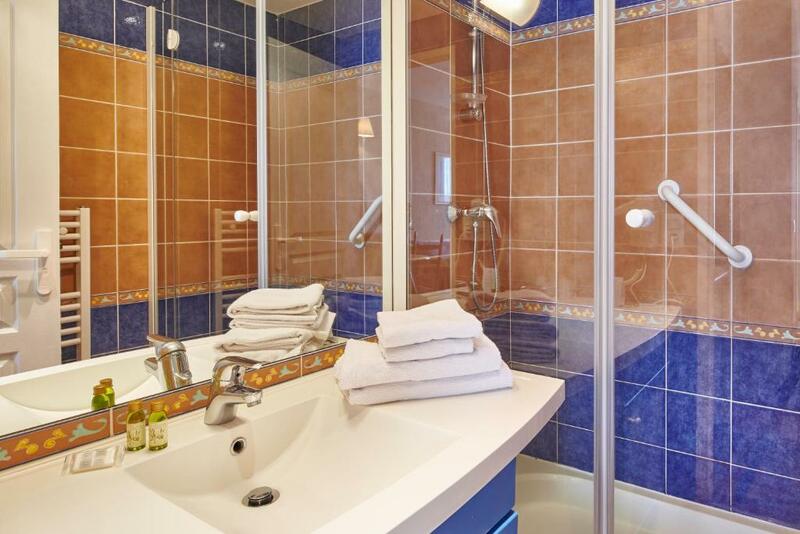 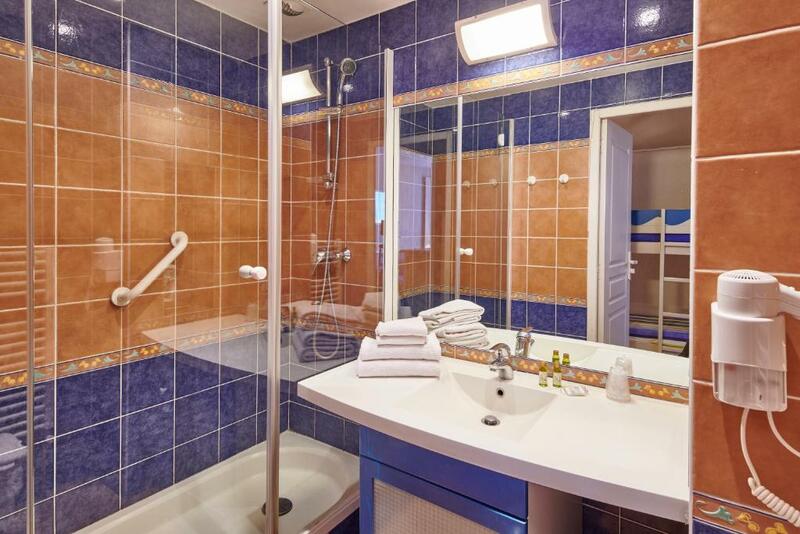 They all are equipped with a modern private bathroom and a complete kitchenette with ceramic hob. 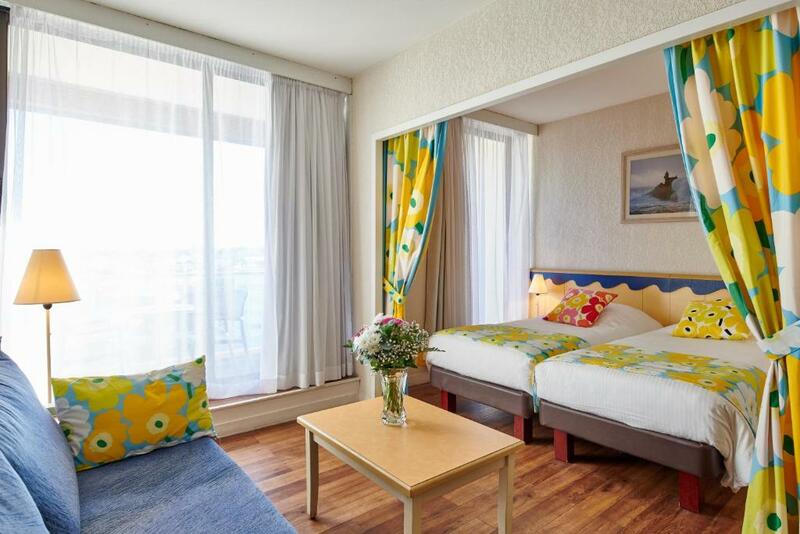 Le Grand Large also has a bar and restaurant with a panoramic view over the Atlantic Ocean. 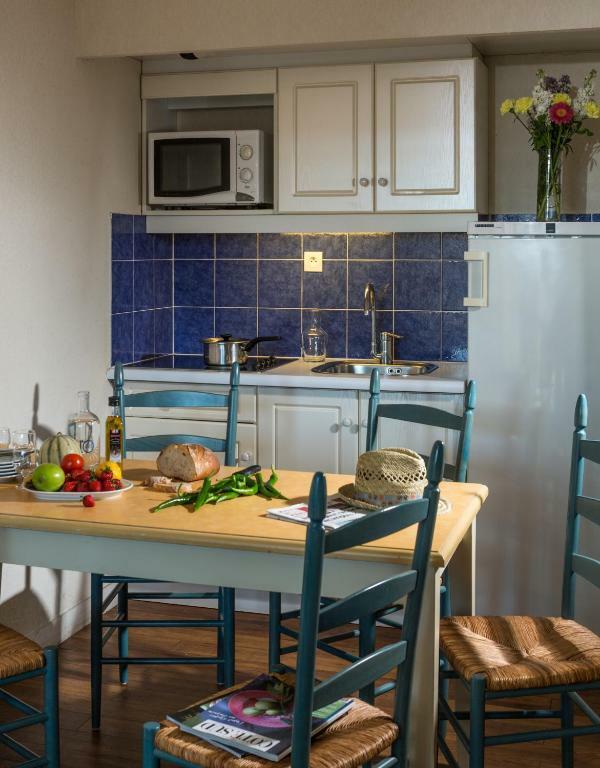 Here guests are invited to enjoy regional cuisine. 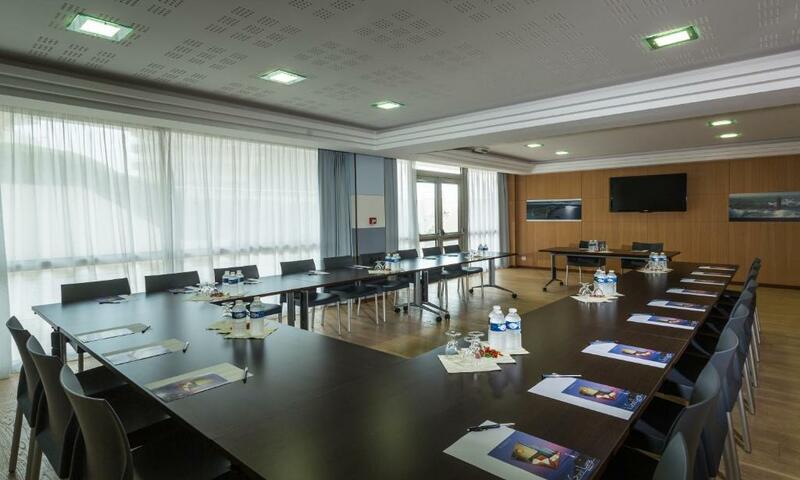 The aparthotel also features a relaxing lounge and library. 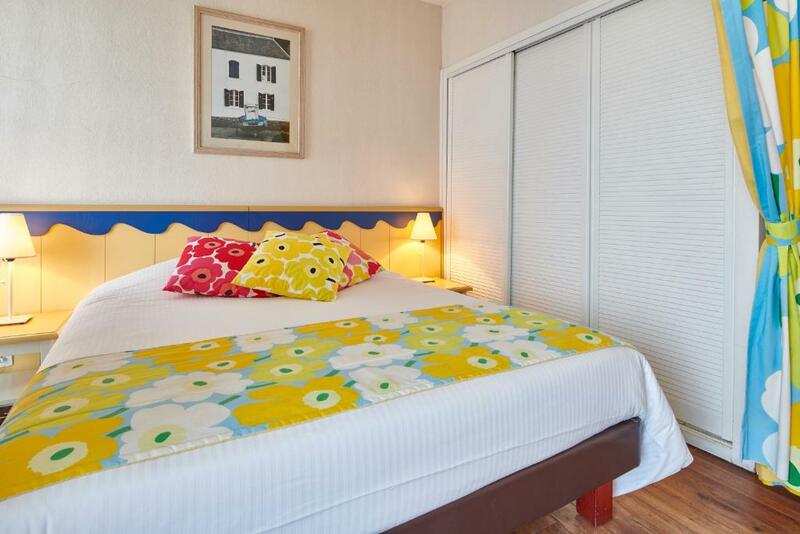 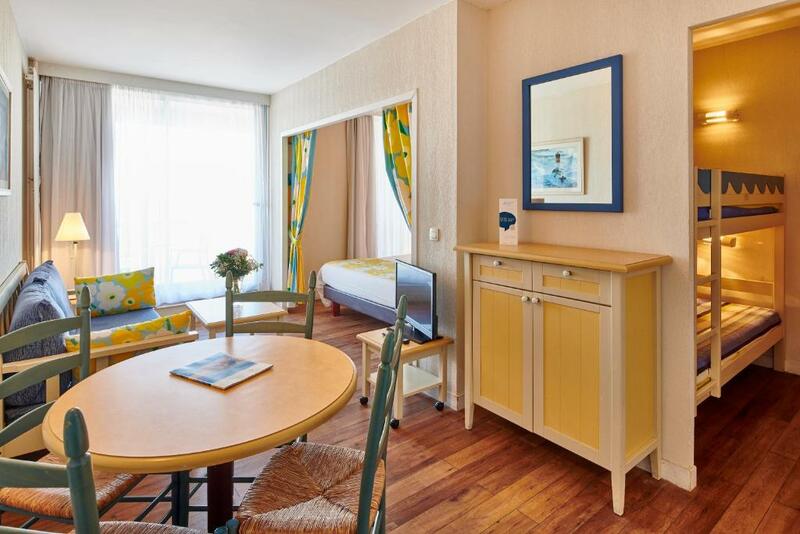 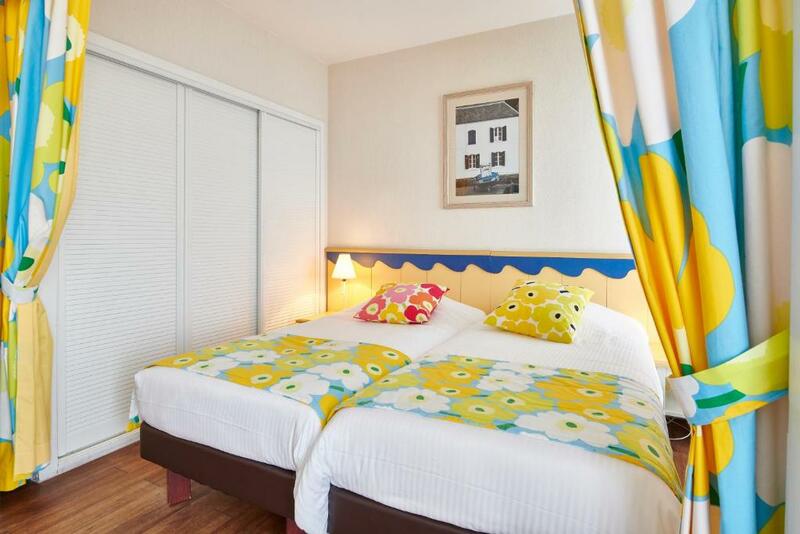 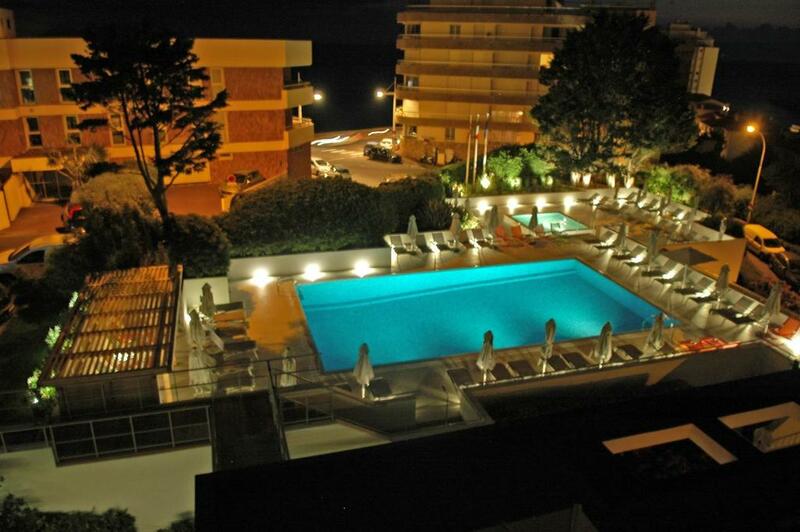 This aparthotel is less than a 5-minute walk from Cote des Basques Beach. 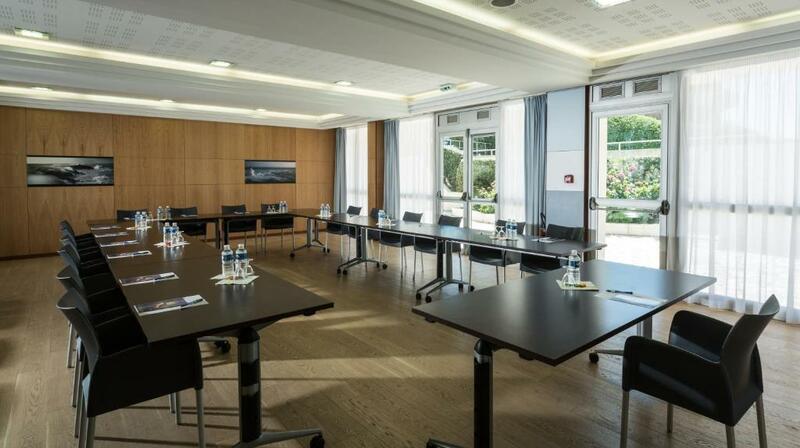 Within 3 km, guests can enjoy Biarritz Golf and Bidard Golf. 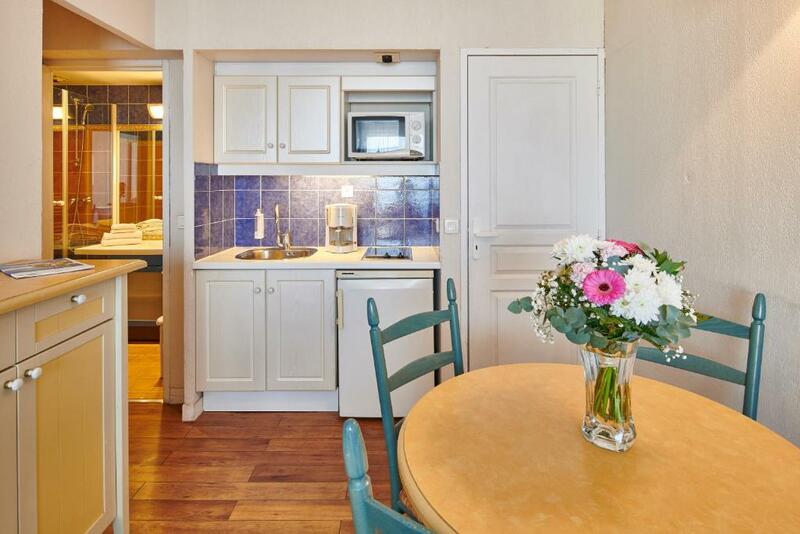 Biarritz-Anglet-Bayonne Airport is 4 km away.